SHERIDAN, Ark. 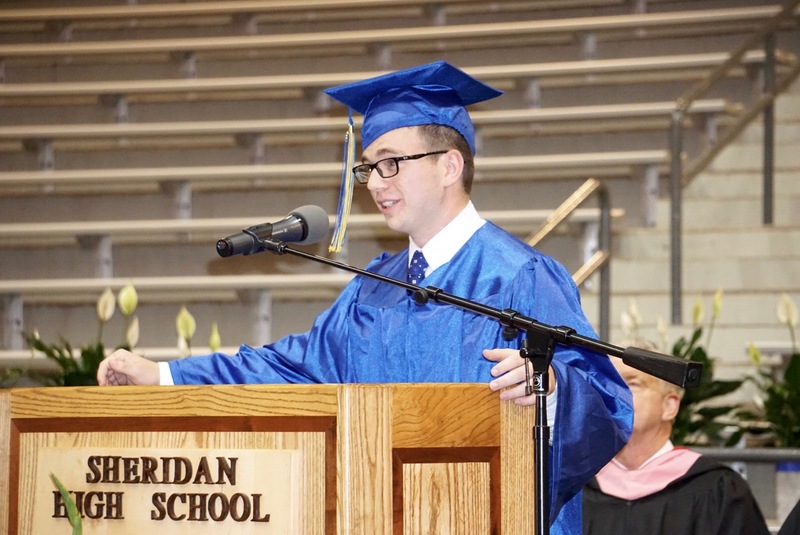 -- Dylan Thompson, 2016 Sheridan High School graduate, was named named AP National Scholar and awarded a National Merit Scholarship, both within the same week. Each year the College Board designates various levels of AP Scholar Awards in recognition of outstanding achievement on Advanced Placement Exams. On July 17, College Board announced that Thompson earned the AP National Scholar award based on qualifying scores on twelve AP Exams, ten with scores of 4 or 5. The AP National Scholar distinction is the highest level awarded by the College Board. To qualify, a student must receive an average score of at least 4 on all AP Exams taken, andscore 4 or higher on eight or more of these exams. On July 18, the National Merit Scholarship Corporation released the names of the students receiving college-sponsored scholarships. Thompson was among 11 students in Arkansas and approximately 800 students in the nation included on that list of recipients. More than 1.5 million juniors entered the 2016 National Merit Program competition by taking the Preliminary SAT/National Merit Scholarship Qualifying Test. Only 15,000 students were advanced to the Finalist level based on excellent qualifying PSAT scores and other criteria. Thompson, son of Jason and Dawn Thompson, will attend Honors College at the University of Arkansas at Fayetteville. As a senior at Sheridan High School in 2016, Thompson also was among the 20 high-achieving students in the state who made the Arkansas Times Academic All-Star Team. In April, Thompson received the Most Valuable Player Scholarship at this year’s 6A State Quiz Bowl championship.